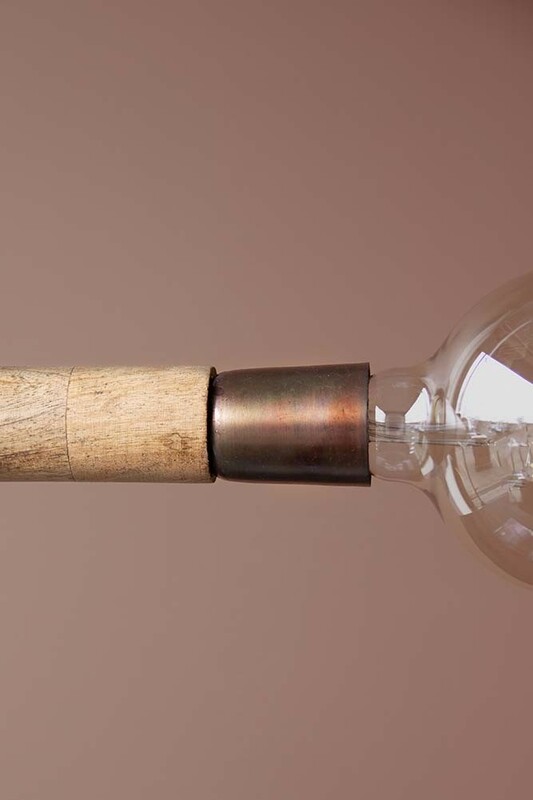 A beautifully unique ceiling light the Twin Bulb Ceiling Light features a wooden bracket with copper effect light bulb fittings on either end of the wooden pipe. 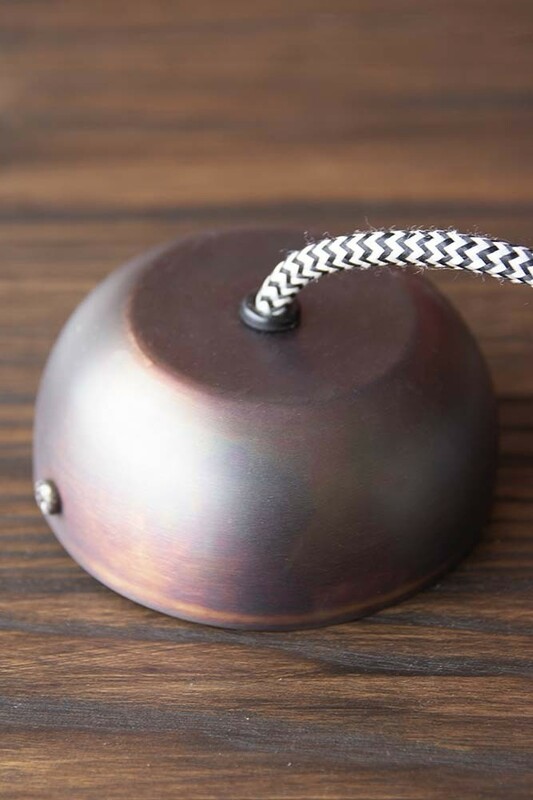 With a flex and copper ceiling rose the Twin Bulb Ceiling Light is stylish accent lighting for your kitchens, home offices and living rooms. An exclusive Rockett St George design the Twin Bulb Ceiling Light is a multifunction lighting fixture for your home. And, that’s why we think you’ll love it! 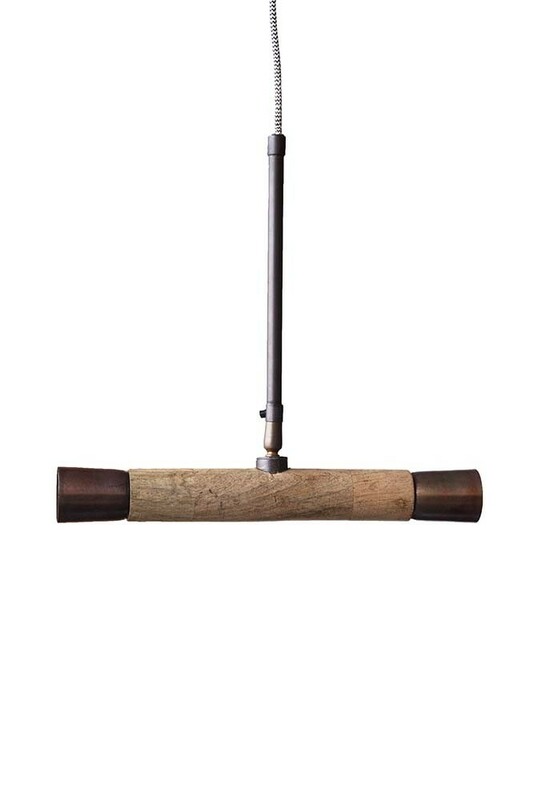 Brilliant kitchen lighting, office lighting and living room lighting, the Twin Bulb Ceiling Light with a Copper & Wood Effect Finish is a unique ceiling light that will complement just about any décor style. 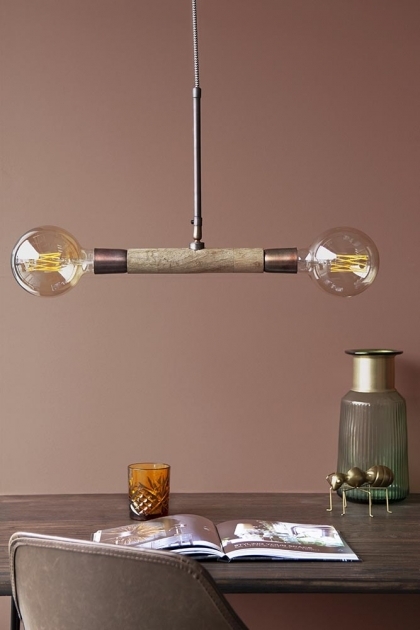 A fabulous task light, hang the Twin Bulb Ceiling Light over your home office desk or kitchen island. It will illuminate your worksurfaces with ease and look stylish in the process. A win-win, don’t you think? If you like to do things a little differently, why not opt for tinted lightbulbs in smoke grey or rose? 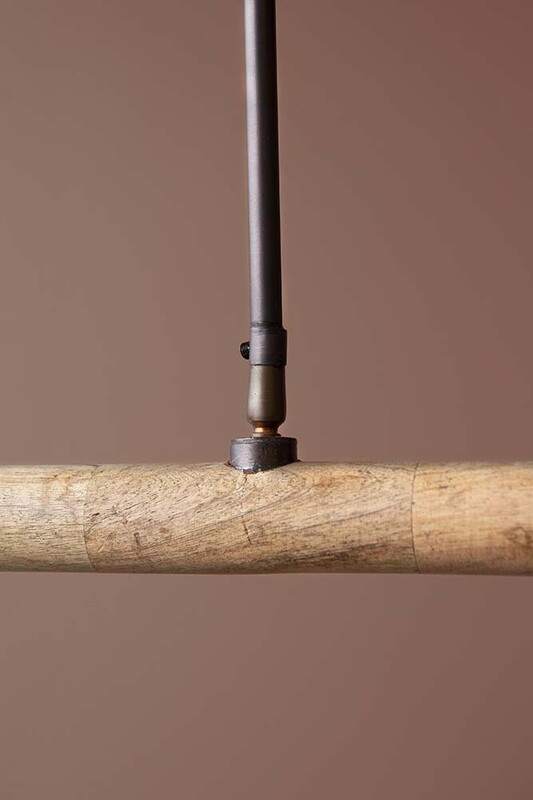 It will cast a gorgeous warming light over your work areas and is a fabulous feature light in it’s own right.